Ever since I was a kid, I'd use the term 'quick look' for when I'd see someone who looked like someone we knew or a famous person. The idea is that if you turn your head back and forth really quickly, so you only catch a glimpse, or quick look, they'd look like our friend's Dad, or Woody Harrelson, or the guy from Hoagie Hut. Let's take a quick look at every team in the Majors and see what we see. Mike Scoiscia’s the only reason they’re as good as 2nd place in the AL West. Surprisingly, to us, it looks like the AL West will be a walk for the Rangers. It is youth in revolt in Houston, as Brett Myers’s $21 million extension through 2012 (with a $7 million club option for 2013) makes him the new veteran leader of the pitching staff. Was it bad luck, or something else, that limited the A’s from trading Ben Sheets before his season ending injury? Alex Anthopolous didn’t cash in his valuable trading chips: Scott Downs, Jason Frasor, Kevin Gregg, and to a lesser extent Jose Bautista. The three relievers are expendable and should have been traded. Bautista (who leads the league in Homeruns)’s stock has never been higher. If he has a solid rest of the season, he’ll be very valuable in the offseason and Spring Training. His arbitration raise will likely get him to around $6 or $7 million, which still makes him an affordable power hitter. As we’ve heard many times, and will continue to hear, the Braves are really going for it in Bobby Cox’s last season. But, with whom? We love Jason Heyward and Brian McCann. Prado and Chipper are good. Their overall pitching looks strong, and I guess that’s the key to their success. Hudson and Wagner are having fantastic seasons. We just don’t like their trade deadline acquisitions (Ankiel & Farnsworth) at all. Milwaukee’s decision to stand pat at the deadline seems quite odd. We respect the refusal to fly the white flag before you feel it, but the Brewers aren’t really in the mix for a playoff spot. Are they? At 11 games behind the 2nd place Reds, Coolstandings gives them a less than 0.1% chance at making the playoffs. I’ve never been a Reds fan before this season, but it still looks like La Russa’s litigators will be there to spoil another October for people outside of Missouri and Southern Illinois. Don’t get me started. They stink. Nothing is worse than a bad team that is also old and overpaid. The prospects the Cubs can boast of look too far away to expect success in 2011. I’m still shocked they fired General Manager, Josh Byrnes, but the interim GM made a fantastic move by trading Edwin Jackson. He has had too many miles put on his surgically repaired arm to be worth the future salary he’ll be making. At least Jackson has a chance at survival with White Sox pitching coach Don Cooper. As regular readers of this space know, we highly respect the pitching coaches of our two least favorite teams, Don Cooper and Dave Duncan. It’s always refreshing to see teams that are going for it. Trading Blake DeWitt for Lilly & Theriot was a win for them. 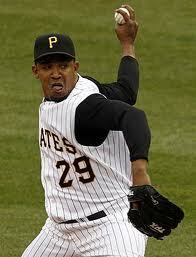 Getting Dotel makes them very dangerous. We’ve been high on the Giants for over a year. It’s not their whole team as much as we wanted to see Lincecum and Cain tear up October like Schilling and Johnson a decade ago. If Lincecum is losing his mojo, though, all bets are off. Is Carlos Santana worth the price of admission? Cleveland fans are going to find out in the next two months, as they have very little else to cheer for. They’ll be good again, when Shin-Soo Cho is their 5th or 6th best player. This was the year they were supposed to compete. Unfortunately, Chone Figgins stinks and they were never able to capitalize on the 1-2 of Felix and Lee. There is hope under Jack Z’s wise command, but they need to get some hitter. Justin Smoak and Dustin Ackley are critical cogs. 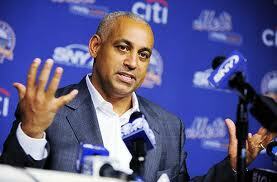 Is Omar Minaya still working for the Expos? How could the Mets make NO MOVES this trading deadline? Even a salary dump would look better than doing NOTHING. Other than the Riggleman curse getting close to the best pitching prospect of all time, the Nationals look like a team on the rise. 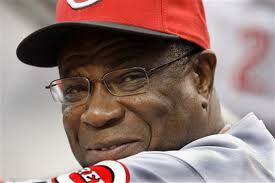 Just don’t fire Riggleman and hire Dusty, who’s contract is up in Cincinnati at the end of the year. And the worst record in baseball currently resides in Baltimore, and it is a putrid 32-73. That’s a .305 winning percentage. That’s 41 games under .500. At least Buck Showalter can’t make things any worse. At this point, Rich Kotite could manage the Orioles and they’ll do better than a .305 Win% next season. This season’s Cinderella story is the lovable bunch of guys rallying around Adrian Gonzalez in San Diego. There was ridiculous talk this week that they finally got a 2nd Major League hitter by trading for Ryal Ludwick. Personally, I think Ludwick still stinks, but we will root for the Padres because we love Bud Black, pitching, and Sandy Alderson – certainly not in that order. The wounded, 2-time defending champions of the National League still look very dangerous to us. I think they’ll still win the division. Not only that, I would bet that we see Bill Simmons’ Ewing Theory transfer to baseball if Ryan Howard is out for an extended period of time. The Pirates finally look exciting. They need more pitching, for sure, but their lineup finally looks young and dangerous. Pedro Alvarez will establish himself as a game altering force in the next 12 months. The Rangers looked dangerous at the start of the year and transformed themselves into a powerhouse. They have players performing extremely well this season, like Josh Hamilton, Vladimir Guerrero, and Cliff Lee. They also have youth on their side, with very young contributors like Elvis Andrus, Nelson Cruz and Neftali Feliz. When healthy, Ian Kinsler is a perennial MVP candidate. Most importantly, Nolan Ryan has built and managed a stable of young power arms on the Major League staff and in the minors. Can they hold off Boston for the Wild Card? Recent news makes it unlikely anyone will catch the Yankees for the Division, but the Rays have a chance to make it to October, where anything can happen. Is this really a team that is just cruising to wherever they can get, thinking next year will be better because they will have some $30+ million to spend on players not named Ortiz, Lowell, or Papelbon? Colorado is dangerously close to seeing the NL West turn into a two horse race between the Giants and Dodgers. Can Tulo and the gang bring back some of the Rockies 2nd half magic from recent history? The laughingstock of the American League has taken what appear to be steps in the right direction the past couple of weeks. Progress is a good thing. Jim Leyland is like a battalion leader at war. He knows what his team needs to do, and he knows there is a certain way to get there. Behind the scenes, people say there is no better communicator. He connects with each of his players, gets them on his side, and keeps moving forward. Unfortunately, Ron Gardenhire and Ozzie Guillen are also very good managers, and they each have at least a 6 game lead on the Tigers. Gardy’s boys are at it again. I didn’t like the Wilson Ramos for Matt Capps trade. 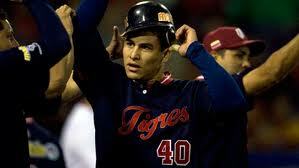 The Twins should have used Ramos for a blockbuster deal, getting someone who could make more of an impact. Capps is a good reliever, but his value was inflated by saves. Even though Ramos’ stock has dropped a bit, as his power has this season, they could have gotten someone better than Matt Capps. The southsiders have a really good thing going on with Kenny Williams, Ozzie Guillen, and Don Cooper. I hope their mulleted fans can appreciate the ingenuity and stability this team has provided them. Ladies and gentlemen, allow us to present to you the 2010 World Series Champion New York Yankees.